Do you worry about your loved one being isolated, or even feel that way yourself as the caregiver? If so, you’re not alone. People with a chronic illness and their family caregivers can easily fall into isolation. The key is to not get ‘stuck’ there. In this post, we’ll explore the top warning signs that isolation is no longer healthy and when to seek professional help. Being sick and providing care for someone who is sick is incredibly intense and exhausting. With that said, short-periods of isolation can actually be a healthy thing, but knowing when isolation is moving from healthy to unhealthy is critical to a person’s well-being. 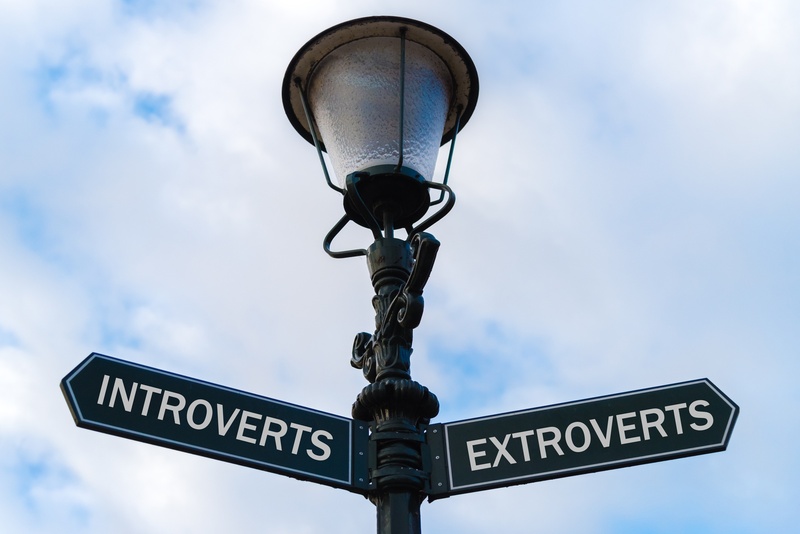 A key tool for determining healthy vs. unhealthy isolation is understanding introversion vs. extroversion. You’re invited to a party with a large group of people, many of whom you’ve never met before. If you hesitated before accepting the invitation, started fantasizing about how to cancel almost immediately, and if you did go, feel completely wiped out after the party - chances are you’re an introvert. If you were thrilled to receive the invitation, found yourself dancing around your house while getting ready and were ‘buzzing’ with excitement after the party- chances are you’re an extrovert. Introvert signs of healthy and unhealthy isolation: John’s mother, Mary, has always loved reading, gardening and painting. Anytime John, his brother and dad went camping for the weekend, she was in ‘heaven’. John’s dad passed away five years ago and Mary decided she wanted to stay in their home despite John’s urging that she move to a retirement community. Mary seemed perfectly content living alone and meeting her three dear friends she’s known for 40 years for dinner once a month. That is, until last year when she was diagnosed with arthritis and COPD. Since then she’s not answering the phone when John or her friends call to check-in and she’s missed dinner with her friends for over three months now. In this case, it’s time for John to let Mary’s primary care physician (PCP) know that he’s concerned about her isolation and seek guidance on how best to intervene. Extrovert signs of healthy and unhealthy isolation: Colleen’s dad, Jack, has always been the life of the party and she can rarely remember a time when he didn’t want to be around people. 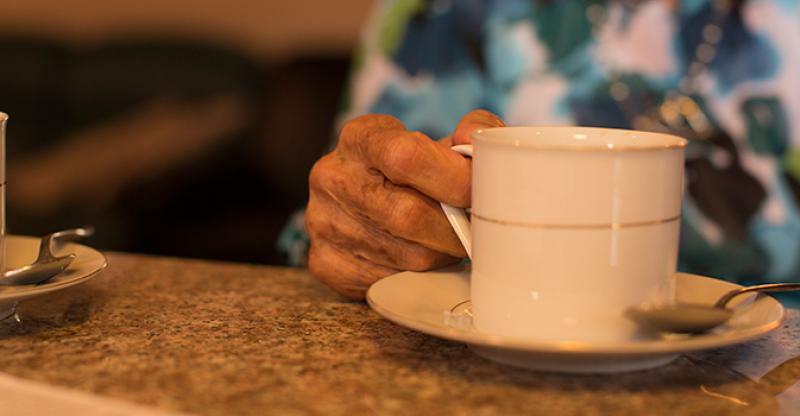 Even when he was first diagnosed with mild cognitive impairment, she would find him in the backyard talking to his neighbor or spot him a few aisles over in Walmart talking to a stranger. Now that he’s had prostate surgery, he’s less inclined to go out, but when he does he’s still engaging and enjoys meeting his buddies for breakfast weekly. In this case, his isolation is most likely not something to be concerned with right now. If Colleen’s dad gets to a point that he’s no longer interested in leaving his apartment and really doesn’t talk much to anyone, that’s a red flag that a professional intervention may be needed. Caregiver signs of healthy and unhealthy isolation: If you’re finding yourself longing for space from your loved one and those around you, pay attention and take it. Do whatever you need to do to care for yourself even if that means leaning into the fear that something ‘could’ happen while you’re gone. However, if you’re finding yourself ignoring calls, emails, texts and other attempts from friends and family to contact you for more than a week, it’s most likely time to ask yourself this question: Is my isolation healthy or not healthy? Only you can answer this question. If it’s the former, consider sending a communication to friends and family to let them know when you’ll be available. If it’s the latter, consider scheduling some time to talk to a therapist, clergy, caregiving consultant or trusted friend. You’re moving into dangerous territory. Remember, you can’t effectively care for someone else unless you care for you first. April Koontz is a family caregiver and founder of Daughters Unite, the first social networking site created for caring daughters by caring daughters. April has a master’s degree in social work and has worked as an individual, group and family therapist and a product marketing manager in the health information technology field. She’s intensely committed to patient advocacy especially with the older adult population and helping individuals and families have meaningful conversations about end of life planning. She’s also a songwriter. You can check out her music at here: www.aprilkmusic.com.